Euro continues moving upwards. Yesterday bulls broke maximum and right now are moving towards their main target, which is close to several upper fibo-levels near 1.3800. During correction, I opened another buy order. 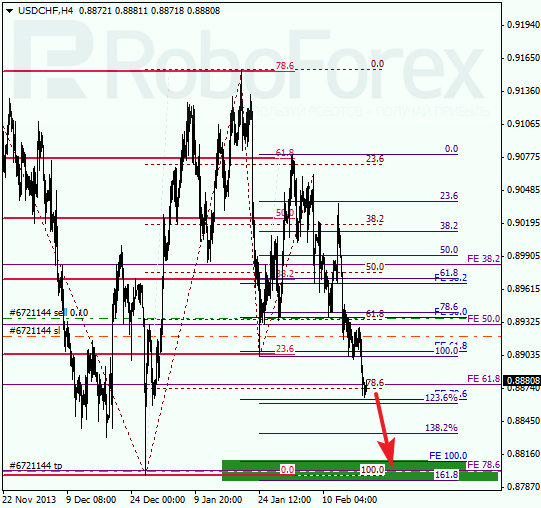 According to the analysis of temporary fibo-zones at H1 chart, target levels may be reached during the day. If later price rebound from them, market may start new correction. Franc is moving downwards quite fast, and I decided to move stop on my sell order into the black. If bears continue pushing price downwards, they may reach new minimum by the end of this week. 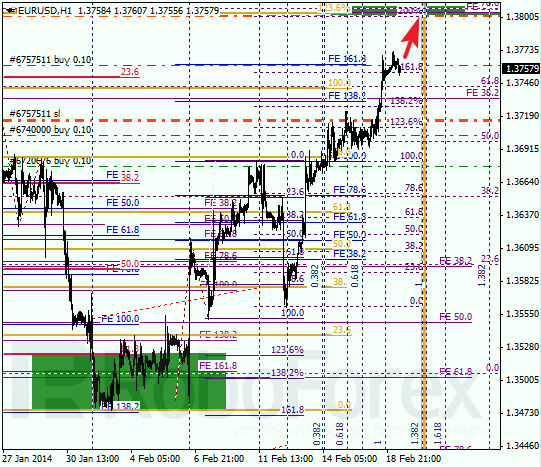 As we can see at H1 chart, price is consolidating. 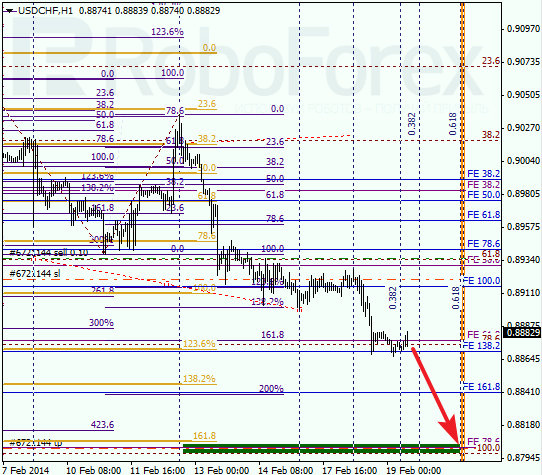 According to analysis of temporary fibo-zones, predicted targets may be reached by Thursday. However, one should remember that price may rebound from target area quite fast, that’s why I’m planning to use Take Profit to close my orders.